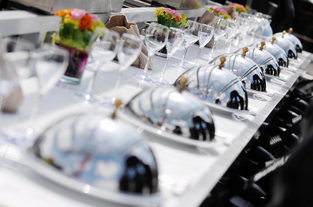 Niagara Catering Service is there for you and all your catering service needs. We aim to please all our clients with wonderful food, service, and atmosphere. Try us today for an enjoying and rewarding dining experience. We go the extra mile to make sure your special occasion or event is perfect. With our seamless chefs, professional staff, and prompt services, you’ll wonder why you waited so long to hire us. 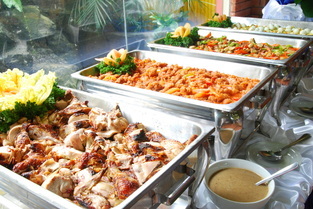 Unlike other catering services in your area, you know exactly what to expect before and not after the occasion is over. 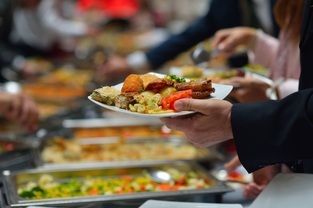 With mouthwatering desserts, unique appetizers, and delicious entrees, we provide amazing catering services to our clients. We serve any function from weddings to private and personal parties. 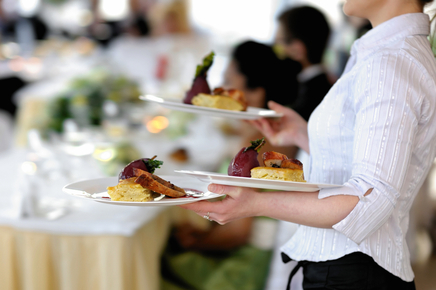 Niagara Catering Services takes care of all the planning, prepping, serving, and clean up. 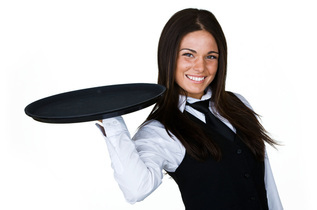 Our friendly staff of waiters are highly trained to represent elegance and style in fine dining. Let us serve any occasion today! Our services include breakfast, brunch, lunch, dinner, dessert, tea and coffee time and social hour. We have flexible hours so we can conveniently work around any schedules or obstacles. We can also accommodate for dietary specifications including gluten intolerance, diabetes, and offer wonderful vegetarian and kosher dishes. Our tailored and creative menus offer the convenience and stress free planning of pleasing a number of different ethic and personal preferences. As mentioned, we can accommodate breakfast lunch, dinner, and brunch by serving a variety of appetizers, main courses, beverages, desserts and more! We are here to please you and your guests. We also provided various serving options, depending on your event and mood you want to create. We serve buffet style dishes for your guest to choose, and our personal chefs can even create courses which arrive together for a flawlessly timed event stretching over the entire evening. Let us know what your preferences are, and we can adjust accordingly to your needs. We provide casual or formal dining styles, upon your requests. 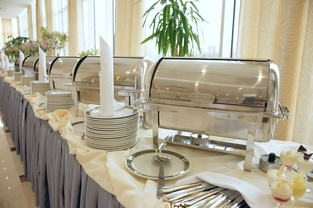 We are also happy to provide a variety of presentation options including buffet style or more personalized service. Again, we can cater to any food allergies or dietary requests such as diary free and others. In addition to beautiful presentation, serving options, and menu creation, we offer affordable prices for our clients. Let us know the number of guests, and we can present several options for your viewing. 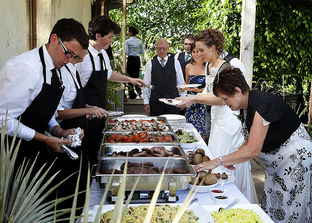 Unlike other catering services in your area, you know exactly what to expect before and not after the occasion is over. With mouthwatering desserts, unique appetizers, and delicious entrees, we provide amazing catering services to our clients. We serve any function from weddings to private and personal parties. 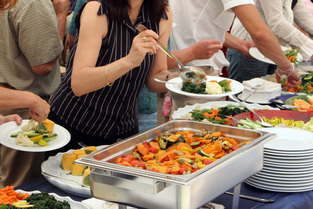 Niagara Catering Services takes care of all the good planning, prepping, serving, and clean up. Our friendly staff of waiters are highly trained to represent elegance and style in fine dining. Let us serve any occasion today! Please call us at 289-273-2266 or fill out the form at the top right hand side of your screen to discuss how we can meet your catering needs.